Really wanted to keep this but I cant keep everything. 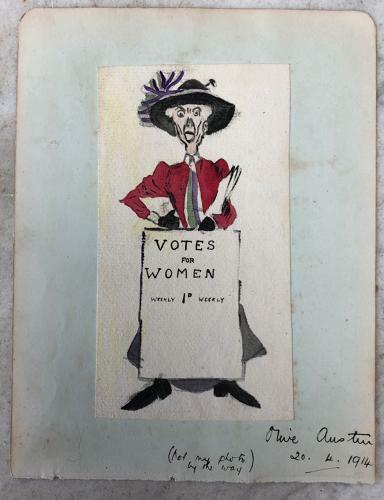 A superb genuine Watercolour by Olive Austin - A Suffragette "VOTES FOR WOMEN Weekly 1D" & dated 1914. On the reverse is a beautiful poem by Gill J Dale 20.1.13 Ipswich. A fantastic piece depicting such an important part of British History.